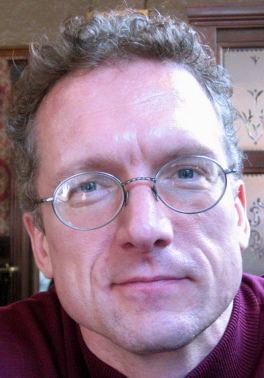 Andreas Behnke is Lecturer in Political Theory at the Department of Politics and IR at the University of Reading. He obtained his MSc and his doctorate from Stockholm University. His current research projects include visuality as epistemology, the global politics of fashion, the role of drones in the transformation of war and sovereignty, and the role of NATO in the post-9/11 era. First, it tries to solve a straightforward puzzle: how did NATO survive the end of the cold war? The research is based on the assumption that Bradley Klein introduced in 1994, namely, that the success of NATO during the cold war was made possible by the Alliance’s ability to produce a shared sense of political and cultural identity for its member states, and that with the end of the cold war and the demise of the USSR, this identity we knew as ‘the West’ had to be reproduced and re-presented. Second, the book looks at the way NATO responded to the proliferation of non-spatial threats in the wake of 9/11. Finally, with regard to (Critical) Security Studies, the book includes a critique of the Liberal ontological and normative presuppositions of much of the field and its proponents’ desire to conceptualise security as a way to overcome conflict and thus to depoliticise inherently a(nta)gonistic relationships between political agents and spaces. Drawing on Carl Schmitt’s political theory, the book argues for the necessary relationship of inclusion and exclusion, community and enmity and the productive role of the latter concepts in the constitution of the former. Through what symbolic techniques and discursive practices did NATO create geopolitical ‘others’ in the place of its traditional cold war opponent, the USSR? What does the emergence of ‘nomadic’ threats (that is, threats that cannot be spatially defined and confined) mean for the continued relevance and agency of the Alliance? And conceptually, what are the relations between identity, in\security, and the political space? For the empirical part, I conducted a systematic discourse analysis of more than 10 years’ worth of NATO documents, speeches, and other publications. As for the conceptual part, I developed a theoretical argument that emphasises the constitution of political space through symbolic techniques that link the delineation of these spaces to the mapping of security and insecurity onto ‘culturalised’ dichotomies of identity and difference. First, that NATO succeeded in the 1990s to re-present the West as a civilizational identity and space against four new ‘other’ dangerous spaces: the Central and Eastern European states, Russia, the ‘South’, and Bosnia/Yugoslavia. The spatio-temporal construction of these spaces differed significantly, though. While the CEE states were put on an asymptotical trajectory that would lead to their ultimate inclusion and ‘home-coming’ in NATO (despite initial resistance to that move); the Soviet Union and then Russia was cast as a perennial outsider and ‘learner’, and later as an outsider on the inside of a NATO dominated European security order, with Russian transformational processes consistently read as a form of ‘instability’ that could only confirm the country’s external status. Regarding the ‘South’, the Alliance presents this as a space of ‘fundamentalism’, irrationality, and authoritarianism. Finally, Yugoslavia and the Bosnian crisis are rendered as the dangerous past, and potential future of the West, which calls NATO to action to exercise and realise its civilisatory project. It offers a critical evaluation of prevalent theories within (Critical) Security Studies. I have been interested for a long time now in the interstices of political theory and the politics of security. In particular, I am fascinated by the productive nature of conflict and agonism in the constitution of political order. 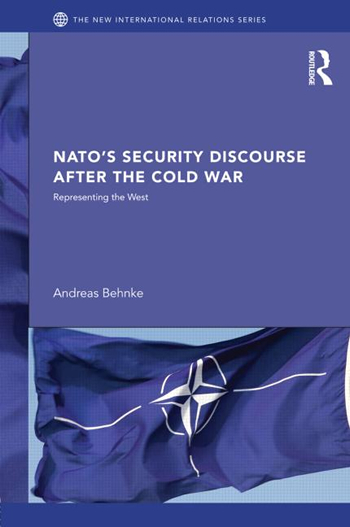 The book’s research into NATO in the post-9/11 era indicates that the Alliance no longer insists on a cultural and spatial identification of threats and instead focuses on what it considers to be systemic and viral threats such as terrorism, cyber-attacks, and the proliferation of WMD. Precisely what this de-spatialisation and de-culturisation of threats, together with NATO’s recent self-identification as a ‘sounding board’ for ‘best security practices’ entails, remains yet to be fully understood.